We don't track selling prices - use the 'make / model / year' pull downs at the top of the page to link to the price tools. Your goal is to beat the TMV price for your zip code. Hello, quick question on the MF for a S90 T6 Momentum with Vision & Convenience... is the MF listed anywhere on the Volvo website? I received the below deal from a dealership and the numbers add up, but their MF is .00079... from researching your previous posts, I thought it was .00025 (presuming dealership doesn't mark it up)... thank you! 36 month MF on the T6 Momentum is indeed .00025 - dealer is marking it up for extra profit. MF is confidential information - but, we're willing to share it with you. 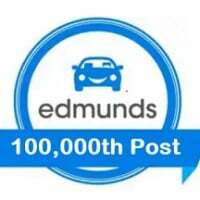 First of all: I've leased SO MANY cars thanks to the help of this forum, so THANK YOU. Just leased an S90 last month for the wife, now working on another possible lease. Wanted to get an updated this month of MF and Residual for 24 and 36 months, 12k per year on T6 AWD Momentum and T6 AWD Inscription. Thanks in advance! ...and for 39 months, I think this is the sweet spot? 39 month terms are not better. S90 FWD/AWD for MOM and Inscription for 36/15 at 60607, 46204 please. Just so I'm reading that correctly, volvo is giving $7713 off for a T5 lease? Do you know if these can be combined with thier "pull ahead" program as well? No - the $3713 is for the T6 only. So for 10k, I'd add 3% to the residual? On the T6: there's a $2000 lease bonus, the Vision pkg discount, as well as the Pull-Ahead program (I lease a MB with a little over 6mos left).They can all be combined? Also, do you know if Volvo has a 7500 mile lease option? Pull ahead should combine with the other incentives. Total payment: 599 (times 23) = 13,777 including tax, tags, doc, acquisition, etc. It should be noted that because of a current Mercedes E class lease I have, I qualified for the full $4500 S90 lease conquest. Even without this lease conquest, however, I'd say these things are leasing out very well if you find an aggressive dealer. Congrats - thanks for sharing your deal details with us! Barry, do you mind sharing your negotiated "purchase price"? I'm assuming you got a discount off MSRP (not considering the incentive). Or did you agree on MSRP less incentives only? Your payment is exactly what I'm looking for. I'm also near the end of my Mercedes lease. We don't have taxes here in Alaska either. Would you mind sharing with PA Dealer you used, would like to possibly use the same. Also does Volvo offer 17.5k or 20k? if so, how does it impact residual? Interested in data for April. MF, residual and any lease promotions. For example, is the $2K lease cash still available? Could I please have the residual and MF for a 2017 T6 Momentum Plus (MSRP $60,070) for 24 mo/$15k per year and 36 mo/$15K per year lease? As an aside, based on this thread it appears the residual has dropped fairly significantly (57% - 50%). Am I missing something perhaps? Not sure, but extra mileage is probably a residual deduction on a cents/mile basis. .00025 MF and 57%/50% residual for 24/36 months. Residuals are the same as last month. With those numbers, I get $524/mo plus tax. Ask the dealer what the adjusted cap cost is - and, how they got there from the selling price. Well, there you go... calculations are within a dollar. did i do good or could of gotten a better deal? Relative to MSRP, that is a strong payment. What is current MF and residual? Lease bonus and Vision Package still available? Is there a Conquest incentive also? Is there a target % off MSRP you recommend?